If winter is spreading around only snowflakes, and spring is spreading colorful flowers…what kind of feelings does your bedroom spread around? Is it elegance, comfort, fun, playfulness, simplicity? Were you trying to have the elegant look in your bedroom and you still feel that something is missing? Find a bedspread now. The best bedspread for you is out there! The market is full of options when it comes to bedspreads. Either you are looking for an elegant pattern on your bedspread or you want one that brings back the memories from your childhood- colorful and joyful- there are many offers, you just need a little patience to find it. Which are the best bedspreads? Curiosity killed the cat, they say. However, we stood brave and fought to find the best 12 bedspreads that go on the market. A penny for your question? Not quite, since we already know that you are looking for the high quality, and yet affordable, elegant, but not pretentious, colorful, but not “circus like” bedspread. At the drop of the hat…here are the winners! We read, tried, talked about and we agreed: you cannot judge a book by its cover, but you can certainly do that with a bedspread. Whether it has a cotton cover and a microfiber filling, or it’s 100% Polyester, your bedspread must be out there, just a click away from giving your bedroom the look that you have always dreamed of. Best thing since sliced bread…the internet! It helped us decide which are the best 5 bedspreads to choose from. 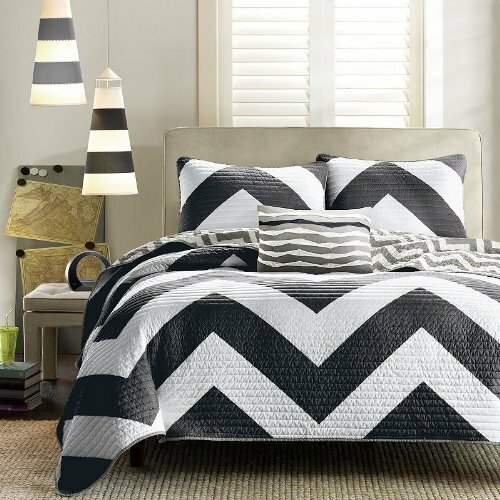 Bringing a fun, playful feeling into your bedroom isn’t difficult when using a bedrest like the 4 Zig Zag Reversible Chevron Bedspread Quilt with Matching Shams and Cushion pillow. The colorful bedpsread looks very cute and gives a fresh feel in your room the second you put it on your bed. The best part about the bedspread is that it’s reversible so you can simply flip it from time to time so change the atmosphere in your room. One side has a bright teal and white chevron design, whereas the other side is a scaled-down Gray and white. Either way, both sides are fun and able to bring a positive vibe into any room. The chevron coverlet looks quite dramatic, giving a nice baldness to your room. The bedspread has a quilted embossed design so it’s not only elegant, but also quite thick and warm. 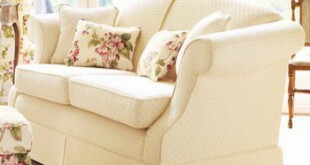 We really like the soft feel of the quilt and the stylish appearance. The matching shams improve the overall appearance and save you the trouble of trying to get the best option for shames. The bedspread is made with micofiber and cotton fill so it’s easy to take care of. It’s easy to wash it from time to time. Along with the bedspread you get a decorative pillow and one standard sham. The colors run true and the bedspread is great for the price. The cons aren’t dealbreakers for us and we like the bedspread for its versatility, nice appearance and fun vibe gives to any room. If you’re looking to create an artistically atmosphere in your room, look no further and get yourself the Bedsure “Yule Tide” Printed Quilt Set. The set includes not only a quilted bedspread, but also matching shams so the visual impact is complete. The bedspread is made with 100% microfiber, ensuring a soft and plush feeling. It feels nice against your skin, but it has also fade and wrinkle resistant. The multilayer built is well made and each of the 5 layers is well stitched together. The bedspread is not only long lasting, but also lightweight. The cute floral print manages to completely change the appearance in any room. The bedspread also comes in prints with Christmas elements and you get to pick from various color combinations. The colors are vibrant and the patchwork is nice. The bedspread is quite big and isn’t too hot. The bedspread is well made and you may machine wash it with cold water. In order to expand its lifespan, it’s better to not bleach it and only tumble dry it on low heat. Despite the downsides, we’d still take a shot with this one whenever feeling to give a floral, artistical vibe to any room. Soft to touch and oversized, the Chezmoi Collection Austin 3-piece Oversized Bedspread Coverlet Set is a nice option that looks good on any bed. The set includes a bedspread and 2 shams so you don’t have to go looking for matching pillowcases. The bedspread is made with 100% Microfiber, which explains the nice soft touch feel. The bedspread is thin and lightweight, keeping you quite warm. 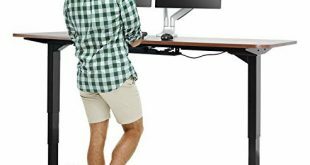 It hangs nicely on both sides and has lots of length. The oversized design helps it look elegant on any bed. The pattern of the fabric is stamped into it so there are no threads or stitches that could minimize comfort. You may easily wash the bedspread in the washing machine. It holds up pretty well in the washer and the color doesn’t wear out. Now that we’re talking about colors, the set comes in many color options so you can easily find the perfect one for your bedroom. The colors are bright and don’t fade out fast. The bedspread looks nice and gives an elegant vibe to your bedroom. Despite the minor issues, the bedspread is still an elegant choice for your bedroom, especially when you take a look at the price. Give your favorite room in the house a luxurious feel with the Fancy Collection 3pc Luxury Bedspread Coverlet Embossed. The set includes a nice quilted bedspread and two matching pillows. They all look so nice and the stitching creates a warm elegance. The bedspread seems well made and has a good, comfortable weight, despite the built. The bedspread is made with 100% microfiber so it has a soft touch feel. We like the bedspread as it has a good, rather big size and hangs nicely on any bed. It runs true to colors and keeps you warm. 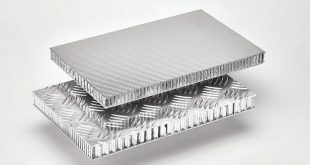 The material is nice and thin and the bedspread fits nicely your bed. You may choose from no less than 12 colors and get the one that fits the best your room. As for caring, the bedspread fits a regular washing machine and dryer as well. You simply wash it and dry it when in need. The colors don’t wear out fast. All things considered, for the money you pay, you get an elegant, well-sized bedspread that gives a classical feel to your bedroom. 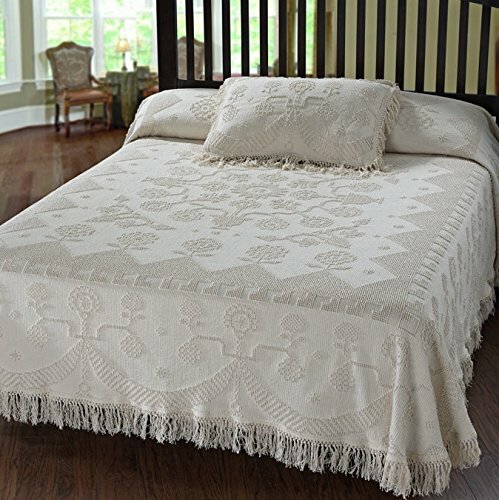 Traditional, yet so nice and elegant, the Beatrice Home Fashions Channel Chenille Bedspread doesn’t need fancy patterns to make a great impression. The bedspread comes in a warm, solid color and the cotton chenille build with channel stripes is efficient, yet subtle. The chenille bedspread creates an elegant, vintage atmosphere in any room and a relaxed, calm vibe altogether. The backside is color-matched so it looks nice either way. The edges on the bedspread are hemmed and the whole bedspread is well made, having a nice durability feel to it. As a matter of fact, the bedspread sure looks expensive, which is even better. The bedspread is lightweight and the pattern is so nice. The fabric is thin and feels nice against your skin. You may even use it as a top bedspread in the summertime. As it’s made with 100% cotton, the bedspread doesn’t have a specific smell right out of the box. Quite the opposite, the bedspread smells rather nice even in the beginning. The bedspread takes well washing and the color doesn’t fade out. The colors are warm and don’t wear out from the bright sun. You should wash it separately, in order to avoid any incidents. Apart from the minor issues, for the luxurious, warm feel it brings to your room, the bedspread is worth every penny, as they aren’t many anyway. When you’re looking for some warm, neutral colors for your room, the 3pc Beige / Taupe Very Soft Fully Quilted Embroidery Bedspread Bed Coverlets Cover Set makes it as a good choice. The set includes not only a bedspread, but also two matching shams that spare you the trouble of going shopping for pillow shams. 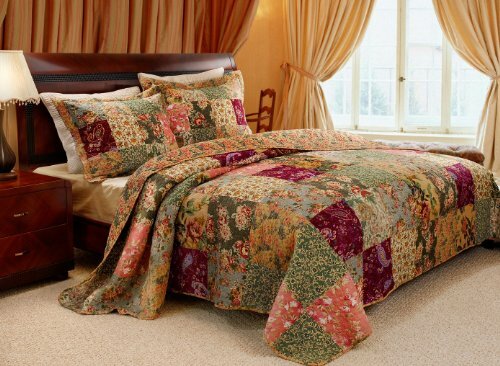 The bedspread has full quilted embroidery, so it gives your room a vintage, warm feel. It’s made with 100% polyester so it has a nice soft touch feel. The bedspread is well made and seems to take intense use for quite some time. It feels lightweight and keeps you warm in a wintertime. The beige/taupe colors bring a nice warmth to any room and it’s not complicated to combine it with most colors. As for carrying, no worries either. The bedspread washes well, but it’s better to only use cold water and a gentle cycle. In case you want to do it all way, it’s good to know you may also get the matching curtains. 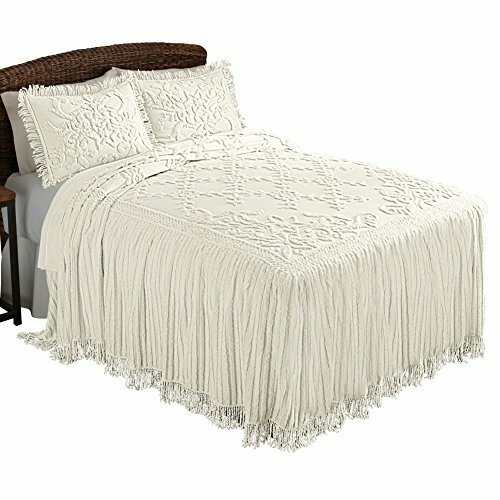 For the nice, warm appearance and the easy to match colors and warmth, the bedspread is sure worth to try when in need. 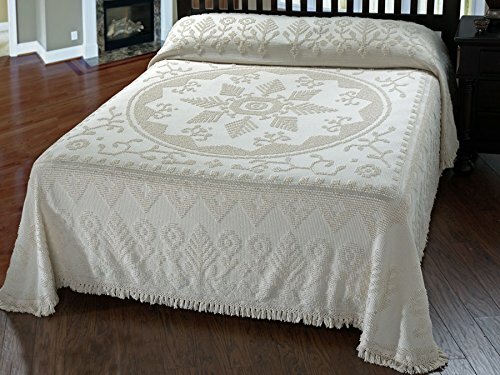 Don’t hesitate to give your bedroom an old-fashioned look with a bedspread like the Cottage Charm Floral Lattice Chenille Lightweight Bedspread with Fringe Edging. The chenille bedspread presents a pretty floral lattice design that warms up any bedroom. The fringe edging looks nice and adds a nice flow to the look. The bedspread is made with cotton so it has a nice, soft touch feel. Apart from the nice feel, the bedspread has no specific smell out of the box either. It’s well made and may serve you well for quite some time. It doesn’t feel flimsy at all. It’s easy to take care of the bedspread as it washes and dries well. The bedspread is lightweight and goes great in spring and summer. It comes with a built-in bed skirt, which is always nice to have. The bedspread is long and changes the vibe of an entire room. The pattern is nice and the bedspread is worth every penny. Don’t forget to get the matching shams for a complete impact in your bedroom. Never mind the cons as the bedspread sure brings many good things to the table, which is far more important. The beautiful Modern Heirloom Collection Felisa Cotton Filled Bedspread manages to bring to modern era any room. The bedspread is made with 100% cotton front and a poly brush backing. Therefore, the bedspread has a nice touch feel and takes the intense use. 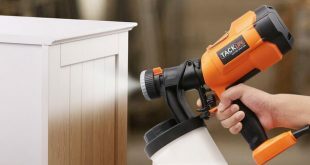 It’s well made and leaves a durability feel. It’s an oversized bedspread so it fits nicely on any bed. Its design is great and the quilted cotton batting features vermicelli quilting all over the bedspread. The embroidered top looks amazing and becomes the centerpiece of any bedroom. Despite the design, the bedspread doesn’t feel heavyweight, but very comfortable. Furthermore, it doesn’t show any wrinkles and is breathable. The bedspread has a good length and feels soft. It fits well and you may use the washing machine for cleaning it. Despite the minor issues, we still like a lot the bedspread as it looks amazing on any bed and that should be enough. You don’t even have to like flowers to bring a spring feel into your bedroom, as it’s impossible not to like the Greenland Home Antique Chic King 3-Piece Bedspread Set. The set is made with 100% cotton, which means it has a nice softness and takes the intense use for a long time. It also means it has no strong smell right out of the box either. The pretty floral prints and paisleys send you away to the artistical countryside story. They are overstitched with vermicelli quilting and surface nice texture. The bedspread is well made and is built to last. The retro style has an antique chic vibe to it and makes a nice impression on any guest. 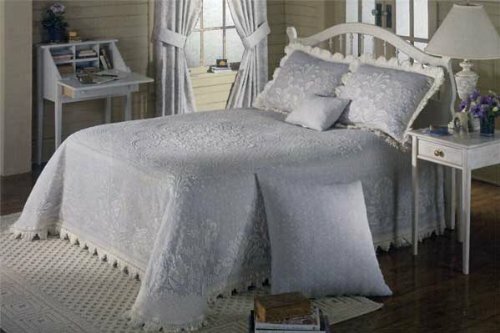 The vintage rose bound edge and back complete the beautiful appearance of the bedspread. The bedspread is also prewashed and preshrunk so you don’t need to care much about wrinkles or cleaning. When you to change the vibe in your room, you may simply flip the bedspread as it’s reversible. The bedspread come with two matching pillow shams so the new look of your bed is complete with one-step. The colors are bright and strong, yet warm, combining so well. The bedspread has high quality material and is very well made. The seams look durable and the bedspread drapes down nicely and is rather long. The bedspread is lightweight and comfortable. It’s warm enough for a cold winter. The reverse side is a mustard yellow. Enough said. No matter the minor problems, for the nice appearance, durability and reliability, the bedspread is worth every single penny. For some, the fact the Maine Heritage New England Tradition Bedspread is made in the USA is good enough reason to get it. True, the bedspread doesn’t disappoint with the craftsmanship and the high quality materials. The bedspread is made with 100% woven cotton and is built to last for quite some time.it feels soft against the skin and takes very well machine washing. As a matter of fact, the bedspread doesn’t shrink not misshapen after washing. The machine replication of handmade candlewick pattern looks nice and out of time. The design is taken from the historical archives of Fabric Company from New England. If you don’t know it, the Candle wicking is a decorative pattern that is handmade and applied with tying knots to the surface, in a very artistic way. The bedspread has a great size and is pretty long. The material is thick and heavy so that the bedspread hangs down nicely. Elegant and sturdy, the bedspread gives your bedroom an elegant, timeless feel that is never out of style. When we draw the final line though, we see a beautiful, durable bedspread that brings timeless elegance in any room. Made with 100% in our USA, the Martha Washington’s Choice Bedspread makes a nice impression with its high quality material and craftsmanship. The candlewick pattern is machine replicated but looks very natural and elegant. The pattern is taken from Mt. Vernon home of Martha and George Washington so one could say you bring history inside your home. 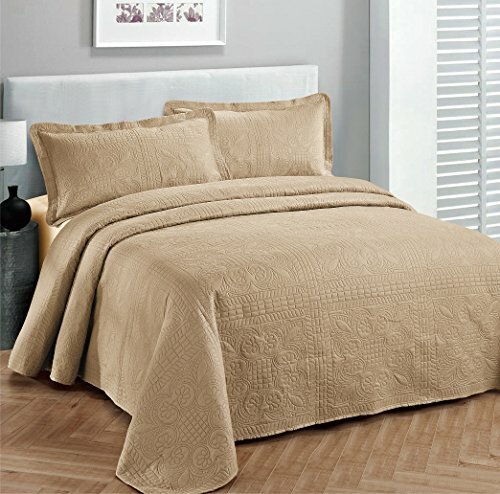 The bedspread comes in nice, warm colors that bring an elegant warmth in any room. The fabric is high quality and the bedspread has a durability feel to it. It has a good weight to it and doesn’t slide around. It fits well and hangs down nicely. The fringes on edges create a flowing feel. We like the bedspread as it’s not bulky, despite its good built. It may work even in the wintertime, with a warm blanket. The bedspread is easy to wash and doesn’t shrink after washing. If you want to expand its lifespan, it’s better to use cold water for washing it. Sturdy, elegant and long lasting, the bedspread may be the final detail that your bedroom was missing. 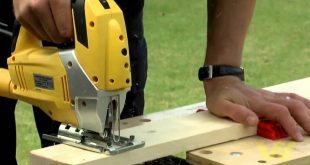 Let’s not forget is made in the USA, which is quite the seal dealer for some. We’re not complaining though and still consider the bedspread to be an elegant, durable option that creates a nice welcoming feel in any room. Let’s get it clear: the more you’re willing to pay, the more you can get from your bedrest. High quality material and amazing craftsmanship is what you get with a bedspread like the Abigail Adams Matelassé Bedspread. The bedspread is made with 100% cotton in the USA. The woven cotton is high quality and looks so elegant. The matelassé bedspread is well made which is why it’s gonna serve you for a very long time. The amazing center medallion matelassé design brings elegance in any room. 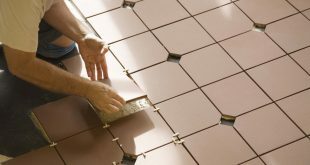 Matelassé is a machine replication of trapunto designs that are hand applied. Going further with the details, it’s good to know that trapunto is a three dimensional raising of a pattern as you fill the applied fabric to create the decorative surface interest. The bedspread is beautifully made and has a classic vibe. The cotton is heavy which is why the bedspread is sturdy and falls so nicely. You may use the bedspread all year long as it keeps you warm in the winter and doesn’t get too hot in the wintertime. The bedspread comes in nice, very warm colors that create a good vibe in any room. They are the perfect shades for worming up a bedroom. You may easily take care of the bedspread as it fits a regular washing machine and dryer. More importantly, the bedspread doesn’t shrink from washing. No matter the downsides, we still like the classic, elegant appearance and the durability of the bedspread and these count so much more.